With our union we have a voice and a vehicle to make real differences at our workplace and beyond. Together, we have strength in being able to improve wages and access to affordable healthcare, have a secure retirement and a workplace that is healthy and safe. Our union dues go towards building a strong union that stands up for the issues that matter for working families. With dues, we are able to have a s strong and effective organization that negotiates strong contracts, represents members in grievances and workplace issues, hires experts to help with legal, research, political, and communications support, and organizes non-union workers to increase our bargaining power and improve our contracts. 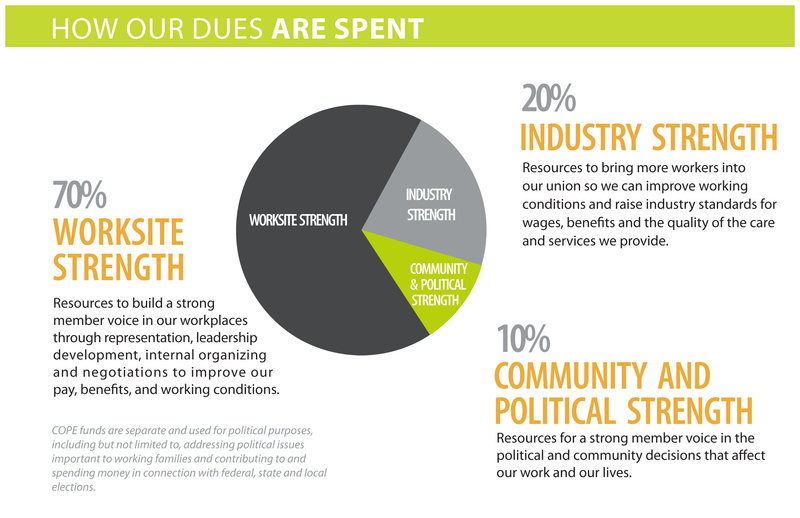 70% on WORKSITE STRENGTH: Resources to build a strong member voice in our workplaces through representation, leadership development, internal organizing and negotiations to improve our pay, benefits and working conditions. 10% on COMMUNITY & POLITICAL STRENGTH: Resources for a strong member voice in the political and community decisions that affect our work and our lives. Our dues go towards the issues that impact working families and never towards an individual political candidate. 20% on INDUSTRY STRENGTH: Resources to bring more workers into our union so we can improve working conditions and raise industry standards for wages, benefits and the quality of the care and services we provide. This year more than 600 workers joined our union! Dues are different at different employers. 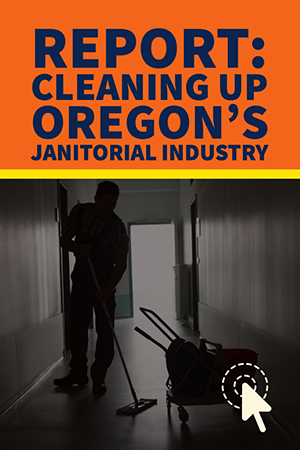 Contact your dues administrator at 503-236-4949 ext. 208 or dues@seiu49.org with any questions you have about your dues.